Informal investigation undertaken by the writer has sought to examine the impact of a child’s disability on a family and how parents cope. In talking with mothers, caregivers, a social worker, a teacher and a doctor, it was clear that the most influential things that help people cope are inner characteristics or qualities rather than particular outside help. Two qualities that stand out relate to self-esteem and an ability to focus on the present. 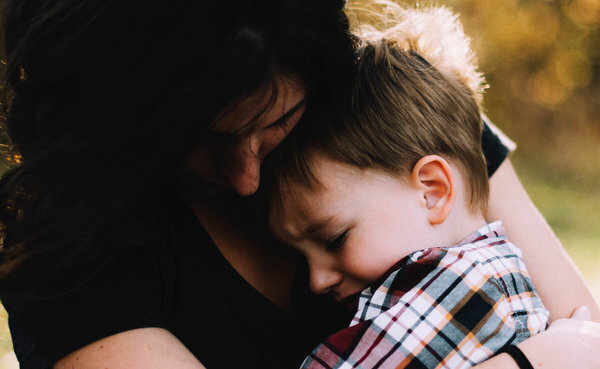 The writer’s professional work as a counsellor together with her own experiences a mother of two special needs children have given her particular insights that enrich this article. Have you ever looked at other parents and wondered how they seem to cope "so well? ", or "not so well"? We all know about the challenges we face caring for our special children. The degree of those challenges might vary according to the severity of the disability, but we all have to deal with them. Have you ever looked at other parents and wondered how they seem to cope “so well”, or “not so well”? I know I have. I have also been asking myself what it is that makes people cope differently. Do they get more/less services? Do they have more/less support? So it was, that as part of my university course I undertook a small, informal research project which looked at the impact of a child’s disability on the parents and how they felt about their coping abilities. I did not want to define “good or bad coping”, rather I felt that it was more important how the parents felt themselves. My initial assumptions were that there are some services which are helpful and others which are not. I hoped that my research would raise awareness of what is most needed by parents in order to help them cope with their challenges. As a mother of two special needs children I had some ideas what had helped and hindered me, so my research was certainly not unbiased. In this sort of qualitative research the researcher cannot be expected to be neutral. In fact we shape the interview as well being shaped by the interactions that take place. Writers in the academic world describe disability as a tragedy impacting on families. They talk about different coping strategies parents use and look at issues around how much control parents have in their lives. Other writers look at how it is that some parents faced with such adversity are able to see their experience as positive or strengthening. It seemed to me that not many had looked at what it was actually like for parents coping with a child’s disability. In order to explore this seeming gap in our knowledge about people’s experience, I talked with a GP, a social worker, a caregiver, and three mothers with special needs children. My interviews focused on these peoples’ perceptions of the impact of disability and their coping. My own experiences are also included, as they surfaced in these conversations. I expected to hear moans about equipment and service provision, wheelchair access and health funding, school issues and community attitudes. There were themes of emotional, physical, mental, familial, societal and financial impact. Though these were important for everybody, coping issues seemed to be in the foreground of everybody’s mind. Coping issues covered mainly all the losses “special families” have to face. Loss of dreams; friends; marriages; relationships and future prospects (jobs; careers; holidays; status; nicer homes; and retirement provisions). Coping with such losses, and the ongoing nature of them, seemed to be a major concern with all participants. Coping in all areas meant adaptation; letting go of an ideal and building something new based on the new reality. For me the loss of a prospective supportive and loving relationship has perhaps been the most difficult loss to cope with and I have been aware how important surrounding myself with friends has been in enabling me to cope and adapt. Such friends tend to be outside the disability community, so I can have some “normality” in my life. Also, as a volunteer counsellor I have an outside focus that has enabled me to live as normal a life as possible and enrich not just me, but also help others. It soon became apparent that it’s not just about what parents cope with, but how parents do it that determines whether we struggle or not. Most parents stated that there was a period of “not coping” for them. They felt the gaze of other people, and they felt helpless and hopeless. They all struggled with thoughts about their future prospects, which disabled them dealing with the present. There was a certain change that came for all parents. Everybody stated that once they accepted disability as part of their life and not the sole focus of it, “a weight lifted of their shoulders”. People then began to focus outside and no longer inside the family. Everybody stated that once they accepted disability as part of their life and not the sole focus of it, “a weight lifted of their shoulders”. People then began to focus outside and no longer inside the family.Yet some people continued to struggle. I wondered what that difference was. I found out that there seems to be an inner quality that determined how well people cope with “a disabling life”. People, who have high self-esteem, high self-worth, seem to be able to cope better. They also seem to be the ones who do not hesitate asking for help when they need it. When mothers talked about coming to acceptance, and a more balanced way and view of life, they said that “the gaze” no longer bothered them or even stopped them from doing what they wanted to do. They came to a point where they felt that they still mattered as a person. So they pursued things in life that mattered to them, and worked “the system” to their advantage. They had stopped feeling guilty leaving the child with a caregiver and recognized how important it was for them, and the family, to exercise self-care. Another theme which surfaced was the importance of being able to live in the present and not worrying constantly about what the future might bring. Concerns about the future are always present, but needn’t interfere with living in the moment.Everybody talked about the stressors that a child’s disability brings into our lives. However, how well they coped reflected on an inner ability rather than a societal/community attitude. A person’s upbringing, together with their life experiences are often more significant determining factors than anything a service providers can do. This is not to say that parents don’t need such help, but that their own feeling of self-worth is more important in terms of coping ability. The implications of this albeit small and informal ‘research’ for parents is that it can be important to seek emotional support, from close friends or a counsellor, and in that context to not only deal with their struggles with disability, but also with their own self esteem. 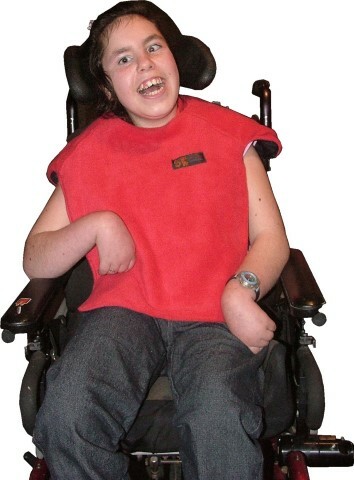 Given the apparent importance of self esteem, counsellors, when working with clients who have disabled children, may well need to attend to the parents self-esteem rather than issues related to their child’s disability. This informal project has alerted me to some important issues that influence how well parents with special needs children cope. I imagine that as you have read this article you may have sensed whether what I am saying ‘rings true’. If that is the case, I hope such insights are both informative and reassuring. However in order to avoid the risk of drawing premature or inaccurate conclusions, more thorough formal research needs to be conducted. No doubt I shall keep you all posted about the outcome.